Imagine you are an activist and want to contribute to peace in your country Libya: what do you do when you sit in a room full of people who want to achieve the same but have different opinions about how to get there? Perspectivity was requested to facilitate a storytelling workshop for 21 Libyan activists as part of the NAP1325 Bridge-builders for Peace and Security in Libya project. 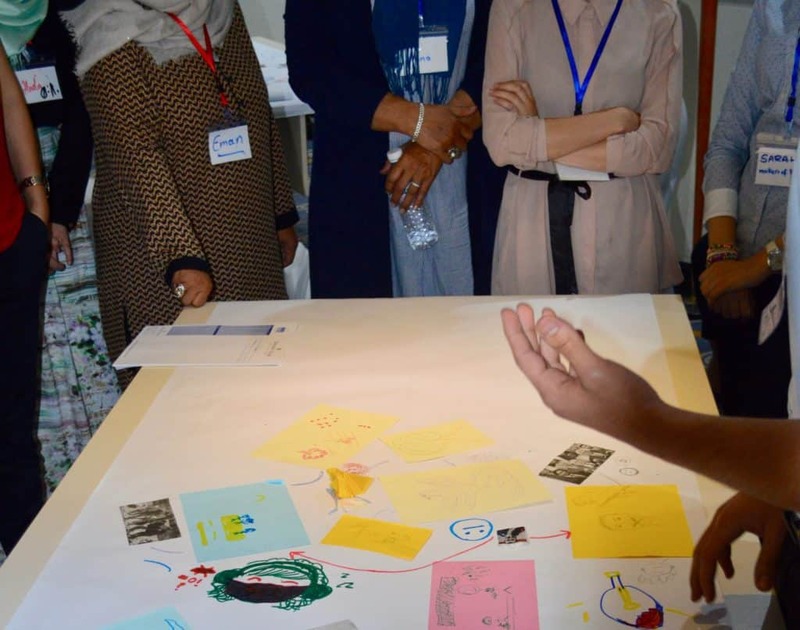 In the workshop, participants were invited to share their own stories in words and pictures, be heard by their co-activists, and listen to their stories. An inspiring proces started where participants were constantly challenged to enrich their own position and rethink their ideas through listening and opening up to other perspectives. By doing this, we were able to contribute to an open and safe environment where participants were brave, wise and positive, and contributed to their society by listening to each other and their communities. By staying so close to the personal and daily reality of the participants, they had to listen and open up, as they could not ignore each others’ experiences and stories. The participants did not end up in abstractions and generalisations that always end up in conflicts between activists.